I got my start with Macs by turning a Dell Inspiron laptop into a Hackintosh — a PC with OS X installed on it — back in late 2007. Given that history, it only seemed natural for me to take on the task of helping you, our faithful reader, learn how to create your own Hackintosh. I’m currently in the process of doing just that with an HP Z2 G3 Mini, but more on that later. 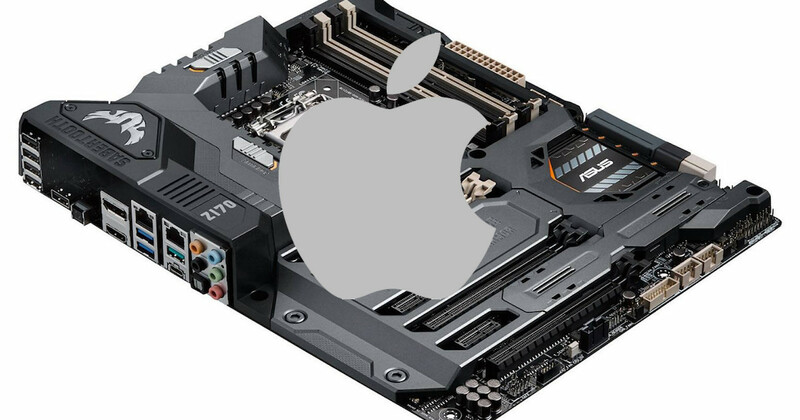 For now, here are the five best motherboards to choose from if you want to start creating a Hackintosh. First, why is creating a Hackintosh worthy of detailed hardware discussions? The main reason is that Cupertino does a reasonably good job of trying to ensure its operating system only runs on Apple hardware. I say “reasonably good job” because there are ways around the constraints built into OS X and macOS. Second, you will need to understand that this is a moving target. As Apple releases new hardware, it adds support for certain devices, while taking away support for older hardware. Because of this, I give you this list with an important caveat: it’s prone to change over the years. This list consists of the most compatible motherboards as of May 2017. It’s also worth noting that some of these motherboards won’t support resolutions higher than 1080p at 60hz. Intel, AMD, and nVidia graphics resolutions higher than that will require a DisplayPort connection, but nVidia 9XX cards with HDMI or DisplayPort will support displays to 4K resolution at 60hz. These motherboards are all considered to be easily adaptable to running macOS Sierra. That means the built-in chipsets work, with some modification or custom drivers, under macOS Sierra. While I have my own preferences as far as form factor, I’ve tried to make this list inclusive of many different motherboard and case sizes. 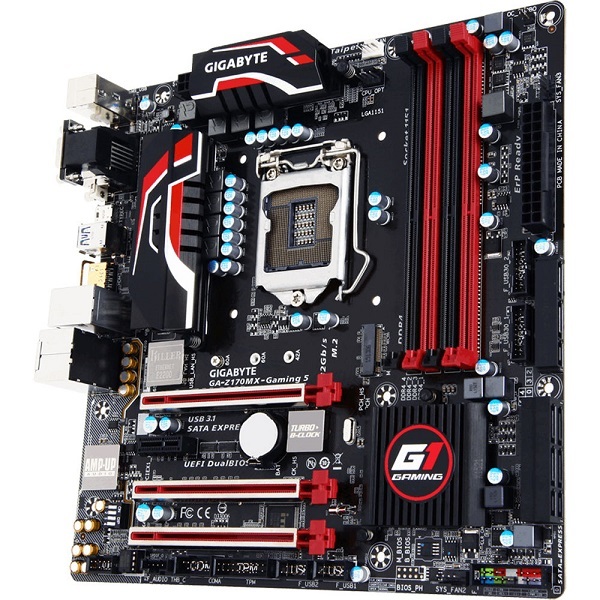 If you opt for an ATX form factor, such as in a medium- to large-sized tower or desktop case, your best option is the Gigabyte GA-Z170XP-SLI motherboard. It boasts an LGA1151 CPU socket, and supports sixth generation Intel Core processors. This motherboard has plenty of PCI-Express expansion slots for building a monster of a Hackintosh. It has built-in gigabyte Ethernet supported by macOS, along with an excellent on-board audio chipset that also works wonderfully in Sierra. The only drawback to this motherboard is that the onboard graphics only supports HDMI, but we will be providing you with a list of much better graphics cards in an upcoming article. 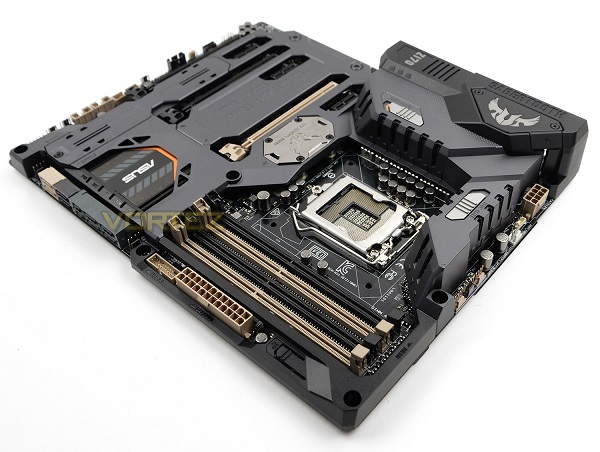 Another excellent choice for an ATX motherboard is the Asus Sabertooth Z170 Mark 1. This mobo has an LGA1151 CPU socket with support for sixth-generation Intel Core processors, and is ready for USB-C, M.2 SATA and SSD drives, and more than enough RAM to keep your Hackintosh running smoothly. It’s expandable, has integrated Intel HD graphics with HDMI and DisplayPort ports, and has gigabit Ethernet support. The Realtek ALC1150 audio chipset supports up to 7.1-channel surround sound, and the system board has plenty of USB 2.0, USB 3.0, USB 3.1, and USB-C ports. Everything is macOS Sierra-friendly. If you prefer a smaller form factor, the mATX size is a good compromise between compactness and expandability. I recommend the Gigabyte GA-Z170MX motherboard for this configuration. It supports Intel’s sixth and seventh generation Core processors, and has several PCI-Express expansion slots. There are six SATA 6Gb/s connectors, three SATA Express connectors, and two M.2 Socket 3 SATA connectors. It also has an Intel gigabyte Ethernet port and a Qualcomm Atheros Killer E2201 Wi-Fi chip built-in. The audio chipset is Realtek ALC1150, supporting up to 7.1-channel surround sound. The Gigabyte GA-Z170MX also provides support for plenty of USB 3.0, USB 2.0, and even USB-C ports. The onboard video chipset, Intel’s HD graphics, offers an HDMI and a DisplayPort connector. Everything is supported under macOS Sierra, but you may have to install special drivers for some devices (like the Wi-Fi chipset) when creating a Hackintosh. 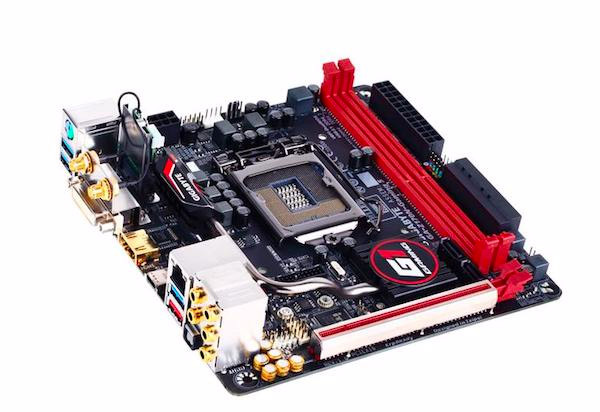 Another excellent mATX motherboard for a Hackintosh project is the ASRock Z170M OC Formula. It supports both sixth- and seventh-generation Intel Core processors in a Socket 1151 configuration. The system board allows for plenty of memory expansion, has three PCI-Express 3.0 x16 ports, and supports SATA 3.0, SATA Express, and Ultra M.2 SATA drives and SSDs. 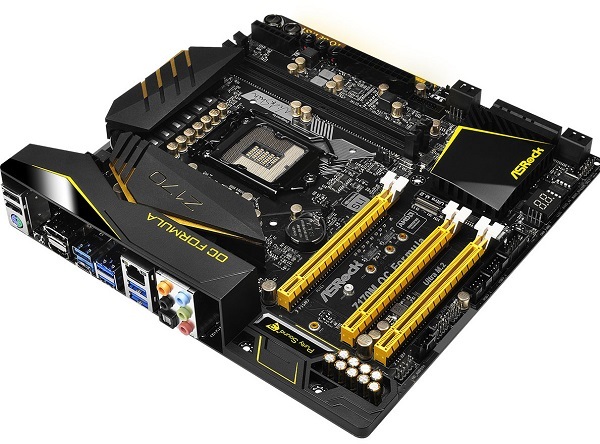 This mobo provides a total of 12 USB ports, split amongst USB 3.1 (one Type-A and one USB-C), six USB 3.0, and six USB 2.0 connectors. Realtek ALC1150 audio gives you up to 7.1-channel surround sound, and Intel gigabit Ethernet is built-in with both HDMI and DisplayPort connectivity. Everything works beautifully with macOS Sierra. If you would like to build around the mini-ITX form factor, you should check out Gigabyte’s GA-H170-Gaming 3 rig. Its LGA1151 socket supports sixth-generation Intel Core processors, and it has four DDR4 memory sockets. 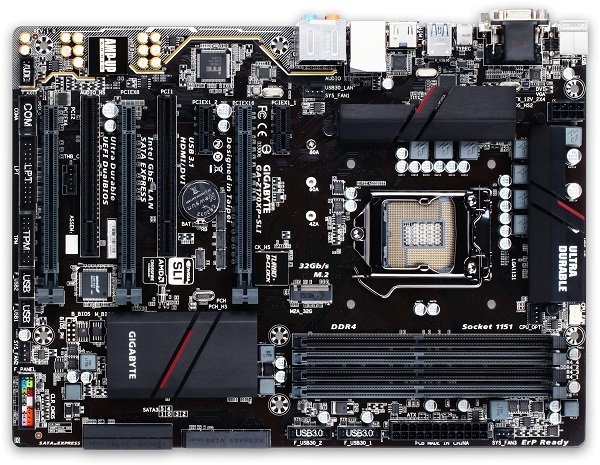 This system board supports several PCI-Express slots, along with two PCI-Express M.2 connectors for NVMe and SATA SSD support. It also has SATA Express connectors and SATA 6Gb/s support. It has the Qualcomm Atheros Killer E2201 LAN chip with gigabyte Ethernet support. The integrated Intel HD graphics chipset has D-Sub, DVI-D, and HDMI ports. Alas, no DisplayPort on this model, but the HDMI port should support your 4K display. The Realtek ALC1150 chipset supports up to 7.1-channel surround sound. Once again, everything on this motherboard works well in macOS Sierra. This is a terrific mobo for creating a Hackintosh. With these choices in mind, you’ve got an excellent starting point for building your very own Hackintosh. Stay tuned for future installments in this series, as we explore the best hardware to use in turning non-Apple hardware into a beast worthy of the power of macOS Sierra.